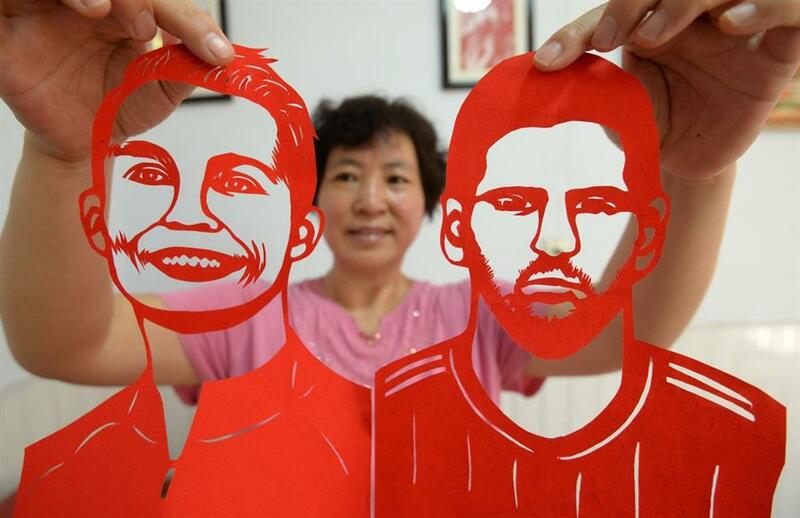 Craftswoman Feng Shiping makes paper-cutting works of football players to greet the FIFA World Cup. 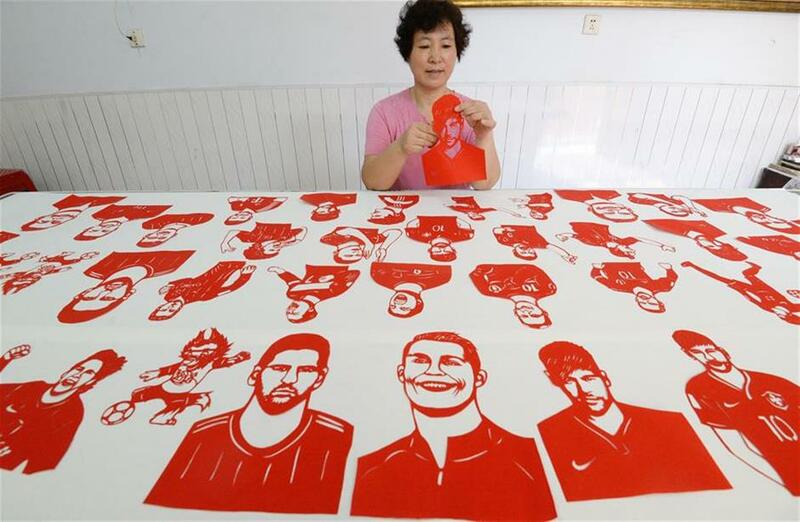 Craftswoman Feng Shiping shows paper-cutting works of football players Lionel Messi and Cristiano Ronaldo in Handan, north China's Hebei Province, on June 12, 2018, to greet the FIFA World Cup. 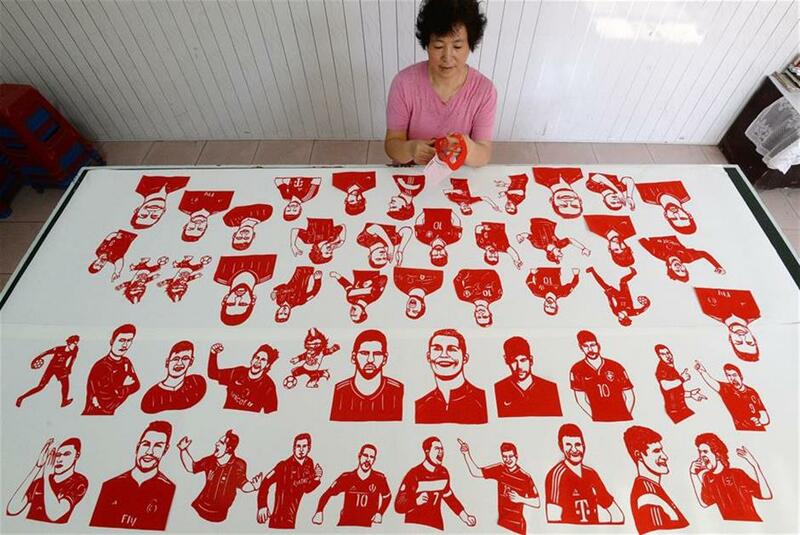 Craftswoman Feng Shiping makes paper-cutting works to greet the FIFA World Cup in Handan, north China's Hebei Province, on June 12, 2018.